CAP Academy is an arts organization that offers Community theater programming and target training in multi-disciplined performing and visual arts, to a diverse population of all ages. 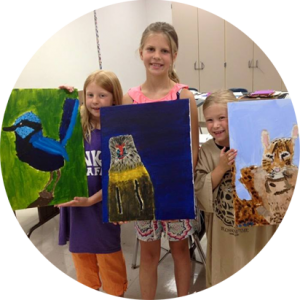 CAP Academy is centered on the teaching of art enrichment; a supplemented by quality instruction, arts collaborations, positive mentorship and intensive etiquette training. Cesear’s Forum is dedicated to presenting unconventional, new or lesser-known theatre pieces to its area communities and the public at large. 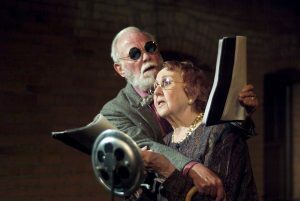 Founded as a small, professional, nonprofit theatre collective in 1989, the company seeks to produce plays of social commitment and theatre experimentation at affordable prices. Chagrin Documentary Film Festival is dedicated to educating audiences and empowering talented filmmakers to tell their stories. The festival is a five-day celebration of the best in documentary film, at venues in and around the century village of Chagrin Falls. The event draws audiences from all over Northeast Ohio, the U.S. and the world to experience documentary films and the compelling subjects they highlight. The Chagrin Falls Historical Society discovers, preserves and shares evidence of and knowledge about the history of Chagrin Falls and vicinity. The Society does this to enable all who live, work, and visit the area to appreciate its past, understand its present, and plan for its future. 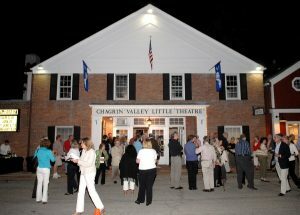 Chagrin Valley Little Theatre’s mission is to enrich the cultural life of the Chagrin Valley and Northeast Ohio through the production of live theatre and related programming. It is home to two theatres, Main Stage with 260 seats, and River Street Playhouse with 60 seats, for intimate, smaller, productions. Programs include a robust youth theatre for grades K – 12, a youth outreach program and a resident orchestra, the Chagrin Falls Studio Orchestra. Founded in Chagrin Falls more than 83 years ago, CVLT operates to a large extent through dedicated volunteers from eastern Cuyahoga and neighboring counties. 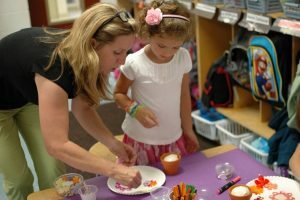 Chagrin Valley Rec Center is the family-oriented summer recreation program for the Chagrin Valley, dedicated to four principles: volunteerism, service, safety, and education. ChamberFest Cleveland presents world-class musicians for an intensive summer chamber music festival, exploring unique and immersive thematic programming as well as creating original, engaging musical experiences for its audiences. The Children’s Museum of Cleveland was first established in 1981 by a coalition of parents, educators and civic leaders. 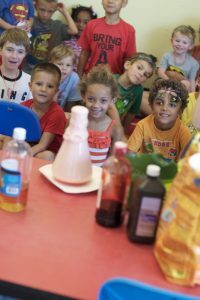 The museum has a mission to provide unique, innovative and impactful experiences, exhibits and educational programs that foster learning and development in children ages birth through eight. 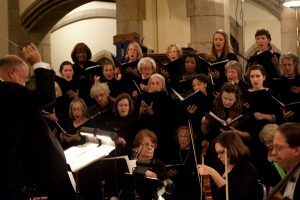 Choral Arts Society of Cleveland was founded in 1975 as a nonprofit community chorus of sixty to seventy dedicated and proficient singers. 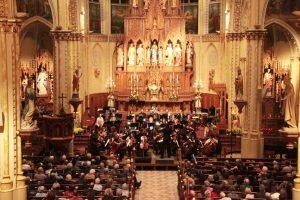 The Choral Arts Society of Cleveland promotes excellence in community music making and enhances access to choral music for all segments of the community. Beachwood, Ohio is one of greater Cleveland’s most sought-after locations for families & businesses. 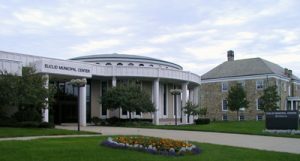 The City’s Community Services Department offers many recreation and cultural opportunities. Easily accessible, Beachwood offers excellent schools, neighborhoods, and shopping. See you in Beachwood! Since 2006, the Mural My Neighborhood program has worked closely with many Cleveland neighborhoods committed to adding beauty and a sense of identity where residents live. Lead artists work with student artists to create a mural which depicts the rich community heritage of each neighborhood. The 37th Annual Cain Park Arts Festival will take place on July 11-13, 2014 at Cain Park in Cleveland Heights. During the festival, 150 visual artists will display and sell their works to more than 15,000 Northeast Ohio residents and visitors. In addition to fine arts and crafts, the three-day festival also includes over10 performances from live musicians, magicians and children’s programming. 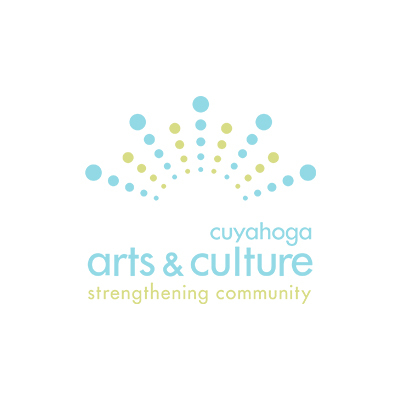 During the 2014 Youth and Family Art Series, the City of Euclid will offer an array of arts, culture and educational programs for youth in grades K-12 and their families. These programs will include classes in visual, culinary and performing arts, health and wellness, painting, pottery, printmaking, cooking and nutrition, yoga, dance, drama and music. 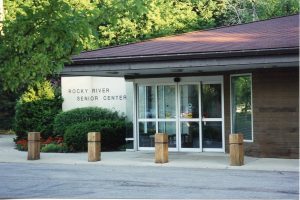 Second Thursdays at Rocky River Senior Center (STARRS) explores unique arts and cultural offerings on the second Thursday of every month in 2014. Through a variety of programs and events, seniors in the community can enjoy enriching events at no cost. The Shaker Heights Recreation department is committed to building stronger neighborhoods through programs, services and events that focus on the intangible benefits of recreation. These benefits may include values of responsibility, teamwork, accountability, respect, dedication, community and sportsmanship. Whatever your age or interest, there is something for you. 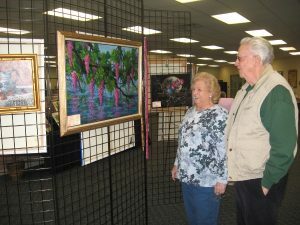 The City of Strongsville’s Ehrnfelt Senior Center will celebrate the 16th Art in our Lives Program on June 6, 2014, with a reception and an art display that is free and open to the public. CityMusic Cleveland is a professional chamber orchestra that performs free concerts throughout Northeast Ohio. Its mission is to develop audiences and build communities through the arts by presenting the finest quality performances of classical repertoire; to eliminate the twin barriers of high ticket prices and unfamiliar venues; and to work with neighborhood leaders to enrich the cultural offerings of their communities. Clague Playhouse is the oldest continuously operating community theater in Northeast Ohio. Its mission is to present quality entertainment, provide an educational environment for all ages through the art of theatre and serve the community’s needs in providing cultural arts awareness. 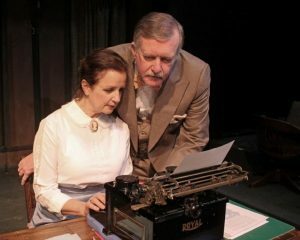 Its theatrical season runs from September to June, with five plays running for four weeks each on Thursday, Friday and Saturday nights and Sunday afternoons. To identify, reward, publicly honor and promote those creative artists whose original work and accomplishments have set a standard of excellence to which other artists can aspire. 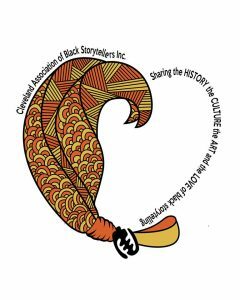 A non-profit cultural organization whose purpose is to perpetuate Black Storytelling and the Oral Tradition.